Energy giant Total has agreed to put in place a bonus system for contractors on the Culzean project amid pressure from an offshore union. Unite had asked for a job completion bonus to be put in place for workers for Wood, Semco Marine and Bilfinger Salamis on the platform. It follows a similar system being put in place on Equinor’s Mariner platform, which helped avert strike action earlier this year. Unite launched a consultative ballot last week for contractors on whether they would take industrial action in order to secure a bonus system. However, Total, which operates the gas project, said a new incentive scheme is now being put in place this week. 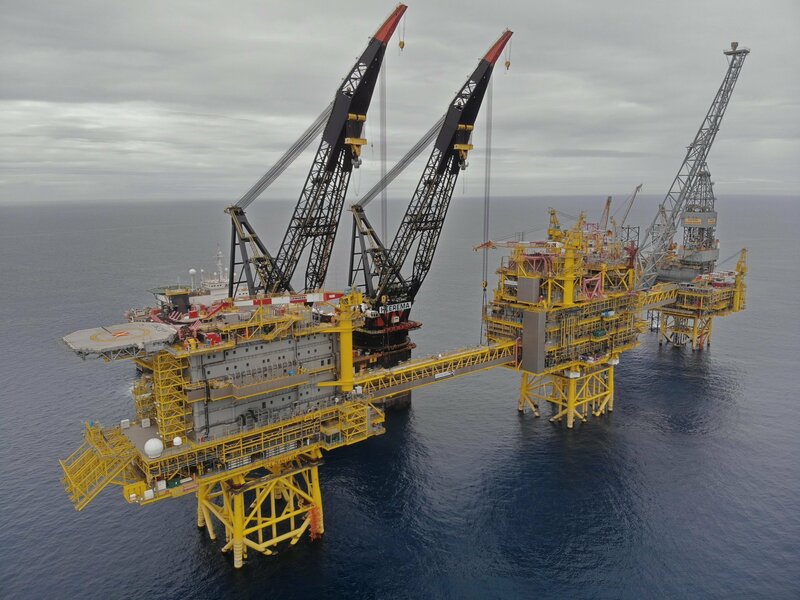 A spokesman for the operator said: “Total has been working with its main contractors on the best way to ensure the safe and timely completion of the Culzean project. “We’ve drawn up an incentive scheme that pays additional bonuses for work completed as the best way to achieve this. Two weeks ago, the French energy firm managed to bring an end to months of strike action on its Elgin, Alwyn and Dunbar platforms, which centred around three weeks equal time offshore rotas. Unite’s ballot will close tomorrow and it is understood members are seeking a bonus system worth around £8,500 each to members, a similar deal offered on Mariner. John Boland, regional officer at Unite, said that while Total’s announcement is a positive one, more questions need to be answered. He said: “It’s positive that they are looking at putting something in place but we need to see how it’s made up. Total’s Culzean field is due to come online next year, and is expected to meet five percent of total UK gas demand at peak production in 2020/2021. Last month Maersk Supply Service completed the tow and installation of the Ailsa floating storage and offloading vessel at the field, which lies around 145miles east of Aberdeen.